Search for the best flight prices from Manchester to Varadero. Compare prices, book today and save money with Manchester Airport. To mean Blue Beach – Varadero, on Cuba’s north-western coast, is accurately named. This exclusive peninsula of white sandy beach, which reaches out into warm turquoise waters, is home to an abundance of resorts and hotels, a nature reserve, virgin forest... and the country’s only full golf course. Varadero is Cuba's ultimate beachside bliss destination and is all about the all-inclusive resorts that line the sandy shore. For chilled-out cocktail sipping beside the pool, you can't beat the Iberostar Varadero (Las Morlas km 17,5) which oozes laid-back beach living. The palm tree-speckled beach of Paradisus Varadero Resort & Spa (Punta Francés) provides a calming retreat for the stressed out, while Sol Palmeras (Las Morlas) is perfect for families looking for good-value beach breaks. Budget seekers should step off the sand and hunt in town. Beny's House (124 Calle 55) has a homey atmosphere and garners rave reviews from guests. 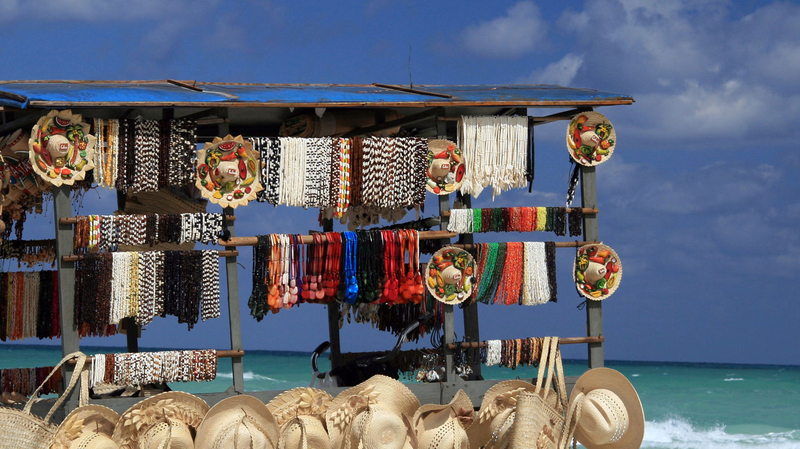 Rum and cigars may be what Cuba is famed for but shopping in Varadero offers much more than these souvenir clichés. There's local woodwork, colourful paintings, handmade jewellery and antiques to sift through in town if you're willing to get off the beach. The Galería de Arte Varadero (Calle 59-60, Avenida 1) is a top spot for a special memento of your trip with gorgeous silver work, art and antiques. Check out Taller de Cerámica Artística (Calle 59-60, Avenida 1) next door for high-quality, beautiful pottery. Just down the road, the Gran Parque de la Artesanía (Calle 15-16, Avenida 1) is an open-air artisans’ market where you can pick up local jewellery, paintings and woodwork. Dining in Varadero is good value. It's worthwhile venturing out of the resorts even if you're on an all-inclusive deal. Varadero 60 (Calle 60, Avenida 3) has a menu of fresh seafood packed with local flavour. For more fish, and probably the best grilled lobster in town, head to Waco's Club (Calle 58-59, Avenida 3). If you're looking for cheap and tasty traditional Cuban food, La Casona del Arte (6 Calle 47) has friendly service and home-style dining. To sample some Cuban partying, meanwhile, the Mambo Club (Las Morlas km 14) is worth a peek. Being in Cuba for New Year's Eve may be enough partying for some but 1 January is a national holiday, commemorating the success of the communist revolution. This means the New Year partying carries through for another day. In Varadero, there are plenty of street parties, concerts and events to mark the occasion. Celebrating the incredible diversity of world music, this festival features renowned musicians from across the world as well as local artists. There are both big concerts and low-key gigs at various venues in town. A must for motorbike enthusiasts, the International Honda Varadero is part of the worldwide Big Bike Festival. Both international and local bikers converge on the town for a weekend of riding. One for the golfing enthusiasts in town, Varadero Golf Club hosts its annual golf tournament. 26 July is a national holiday for Cuba and commemorates the beginning of the Cuban Revolution with Castro's unsuccessful assault on the Moncada Barracks. Festivities are held nationwide, and Varadero hosts carnivals and street parties.